Dan Abrams and Nancy Grace were on Good Morning America today to reflect on new evidence in the trial for Houston attorney Jeffrey Stern, charged with masterminding three failed murder attempts on his wife. Yvonne Stern is standing by her husband, and her testimony is likely to be something that the prosecution keeps focused – not getting into the “why do you think it happened,” but stick to her account of events. The trial is now being delayed after the disclosure of new information regarding Michelle Gaiser, Stern’s mistress, who has confessed to her involvement in the murder attempts but claims that Stern was the mastermind. 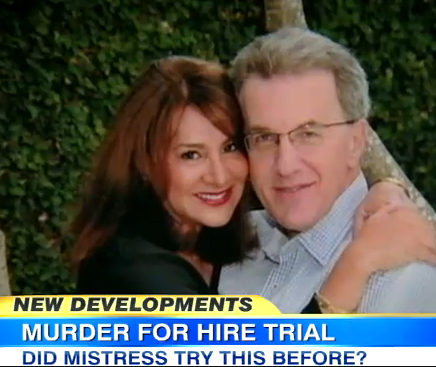 Now, the prosecution has learned that Gaiser, the star witness, might have been involved in a previous murder-for-hire. 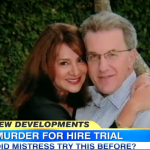 Dan and Nancy don’t disagree with the serious complications this poses for the prosecution of Jeffrey Stern. “[Gaiser] is going to testify: ‘he’s the one who solicited me to do this,'” Dan said. These allegations of previous solicitation (along with other evidence) undermine her credibility enough so that Stern will be difficult to prove guilty, and his conviction is hard to imagine. Watch Dan Abrams in the full discussion here.